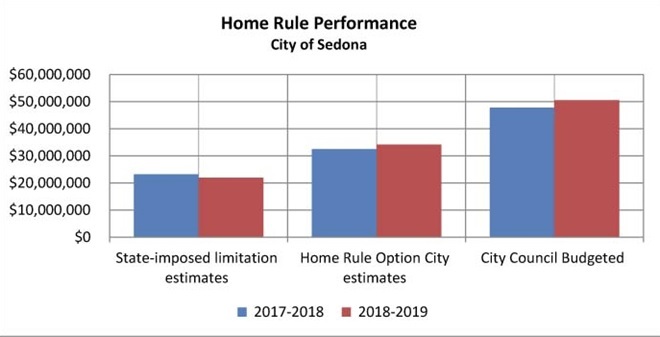 Sedona City Council needs a Yes on Home Rule vote this August 28 to increase the city budget and taxes over the next four years. So obviously we are going to be voting on Home Rule this August 28, 2018. Why do they pretend this vote may not happen? “Alternative expenditure limitation” is really a misnomer because there is no limitation. City Council can spend as much as they want. We just vote on guesstimated future budgets as guidelines, to which the Council does not have to adhere. In August 2014 we voted for these estimated budgets (the first number in the parenthesis is the state limitation; and the second is the actual budget expenditure): For 2014-15, residents voted for $34.4m ($25.5m and $30.19m); for 2015-16 $34.4m ($27m and $34.83m); for 2016-17 $32.4m ($23m and $33.97m ); and for 2017-18, $34.1m ($21.9m and 47.7m). The charts below show that there are no limits to what the City Council can do. In short, voting for Home Rule is like cutting the Council a blank check. Of course fear-mongering is to be expected from the City and the SRRN. In any other year, 50% would have been a gross exaggeration; but, because of this year’s $47.7m budget, its guesstimate is closer to the truth. More importantly, let’s look at the “services” and “programs” that the City provides us residents compared to our neighboring communities. Check out the chart below. As you can see, the City provides Sedona residents with only two: Police and Wastewater. Actually I only consider it one. The City funds and oversees the Sedona Police Department and I commend the SPD for doing a great job serving and protecting our community. But I believe the SPD is getting a little overzealous when it wants to spend money on Sedona Oak Creek School District (SOCSD) classroom surveillance. This also seems like a blurring of budgets and financial responsibilities between the City and the SOCSD. As for the “programs” the City provides, seven of the eight on its website were related to the Police Department. In general, they were ways to become informed by – and inform the SPD. I interpreted these programs as ways we could help the Police ourselves. I requested also that the Parks and Recreation Department email me about their programs, but I never got a response. In general, their programs are mostly geared to kids, even though the average age of us residents is 57. I’m befuddled every time I think of the Wastewater System (WWS) as a “service” when it only “serves” 60% of us residents whose fees finance its operations and, more than that, the City classifies the WWS as an “enterprise fund” which we “enterprisingly fund” as it shrinks its once-promised subsidies to nothing. 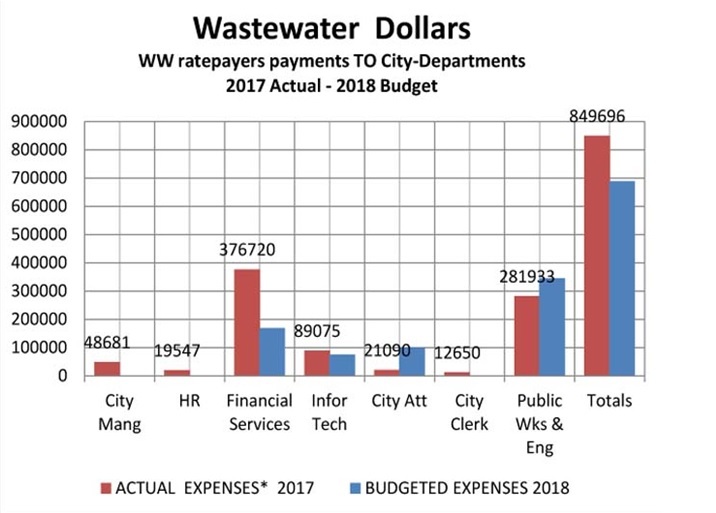 Furthermore the City is playing a shell game with its finances by using the Wastewater (WW) fund to subsidize various departments of our city government. They justify these appropriations as “charges” to the WWS for the work these (City) departments supposedly do for the WWS. Check out the chart below, and you will see that the City diverts nearly a million dollars – which could be used to lower our fees, improve our infrastructure and/or pay down our debt. So in reality the WWS is NOT a “service” rather its fees are a disguised property tax. For more information about Home Rule, I encourage you to check out www.sedonacity.com/Home-Rule-Information.htm and or http://www.secodacity.com/Understanding%20Homerule.htm. However you choose to do it, I encourage you to educate yourself about Home Rule, so you can make an informed decision, when you vote on August 28. For those of you who will be out of town, please get an absentee ballot or try to vote early by contacting the Yavapai or Coconino Election Commission. But please VOTE! Stop the insane spending, charge hotels higher sewer fees. Vote every incumbent out. No on Home rule. Oh thank you Hebert Twombly for another fine story of fiction..
Too bad about the posse grounds building you used at taxpayer expense for your acting BTW.. Things are so bad, they are telling you not to look at the numbers. No on home rule. No on incumbents. Great article Henry. Vote no on Home Rule vote no on sedona government overeach. People need to be aware of what is going on. It’s far worse that it appears on the surface. The list of things Trump has done is exactly why people voted for this president – no matter how much that confuses people who aren’t intelligent. 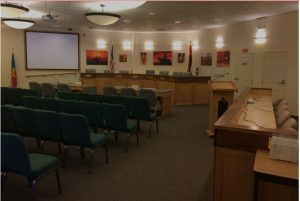 The list of things this council and staff have done are why the residents of Sedona will not vote for these people ever again – no matter how much that confuses people in Sedona who aren’t intelligent. There are two separate, unrelated units of city governments: 1) The General Government fund — which operates and maintains the City services and infrastructure; 2) and the Enterprise (proprietary business) funds, which are also called “Municipal Property Corporation” when bonds are issued, which are a completely separate, self-sustaining unit of the City doing business with consumers, which typically operates and maintains the city’s water and wastewater utilities. Because the Enterprise Funds of a city are structured as a nonprofit business entity, they can issue their own bonds for infrastructure and capital improvements, but the General Government will NOT be responsible for Enterprise Fund bond debt payments because the Enterprise funds must pay for themselves ONLY through customer bill payments without getting money from the General Government. All wastewater and water utilities are supposed to be self-sustaining through ratepayers’ revenues! Funds should never be transferred between the General Govt. funds and The Enterprise Funds. Small cities have the same high, fixed overhead for wastewater and water utilities but have far less customers to pay the same high cost of overhead as large cities; thus, the higher the water and wastewater rates will be in small cities. Clarkdale, which has the smallest number of water system users has the highest water prices accordingly and there is no way around it because there are too few people using the system to split the fixed cost of the system with. A Government of the people, by the people, for the people, trickles down in 2018 to a small town called Sedona. Let’s never lose sight that we enjoy having tourists coming to visit, but time shares, AirB&B, Hotel Industry, Corporations, cannot be blamed for the possible demise of Sedona. It’s us citizens who have funded the raising of these commercial adventures from indifference. Now, New Yorkers, Chicagoans, Bostonians, and all you big city people who moved here and have said to me many times over “it’ll never be as bad as where i came from,”may have to eat those words if we don’t pull on the reins of this wild horse gone helter- skelter called Sedona or you may never make it home because the highway is jammed 5 miles in each direction and your grand kids and family from LA. Are stuck halfway to Cottonwood in a traffic tie up. Extra roads are just going to bring in even more peeps into town with the exception of one bypass road that (yes again) gets people out of Sedona with flashing signs that warns them of traffic doom if entering. We need to regulate the flow of traffic around and away from Sedona and (yes) discourage them from coming into town because a huge percentage of them are on their way anyway(some say 90percent) to the Grand Canyon and will never exit their vehicles. Oak Creek Canyon will no longer be part of the tour ( if) traffic in Sedona is very heavy. Inotherwords, looky loos, please take the bypass in Sedona, a one way road called Shnebly to I-17. The other answer is to stop them at the 1-17– 179 intersection with big flashing sign warning of their demise if taking road to Sedona. Another flashing sign at #260 to Cottonwood with same warning. If traffic is monitored as not heavy, then let em through, BUT.. we need to have CONTROL of the incoming traffic with big flashing signs, help from our fabulous Police Force, and volunteers, ok? This can be fixed so lets get a city council with their head on their shoulders instead of you dont want to know where, and make it happen. We can do it. If the state says anything about it, we will buy back our right to have control of the ingress and egress on 89a. The juveniles that have been at the helm of this town must disappear and qualified, ethical, concerned humans, need to take over the good ship Sedona. Stick to Cottonwood politics because when it comes to Sedona you don’t know the history and consequently what you are talking about. The sewer here was never set up as an enterprise fund. It was dubbed that later when the City, looking for another source of revenue, reneged on the original promise to residents that the sewer would be subsidized. Pay no attention to that nasty post aimed at you. They l e playing a victim role..
No budget yet from you if home rule does not pass.? $13,500.00 in discretionary spending after paying exempted expenditures, like city bonds ect. *see city web page. $13,500,000 is the number that the entire city must be run with. Tony you say the city will be better off spemding 13,500,000 not 49,000,000 ? $4,100,000 to fund the entire city. information ant technology $1,600,000 not much fat. Tony people like the library and Dog shelter, and pools and parks and baseball and pet park….. The yellow shirts for traffic control and people want the city plans for traffic to move forward. Admin, city courts, city attorney,highway and streets, Storm water, other streets. No money at all..
Tony, on you web page you do not talk about no on home rule Why.? And you talk about the chamber not advertising in Phoenix? They did not advertise in Phoenix last summer, and you talk about fixing traffic but this council votes to spend 1/2 sales tax on a new traffic plan…. So you entire platform is just a copy of the city work [plan for 2019/ 2020 . I’m not going to bother responding to all of steve Segner”s rant. If 5 IT staff in a city of 10,000 costing $1,600,000 per year (Segners number) sounds reasonable to you, vote in the current city council. If the extra.5% tax sounds reasonable to you, and you don’t believe as I do it should be repealed, vote in the existing city council. 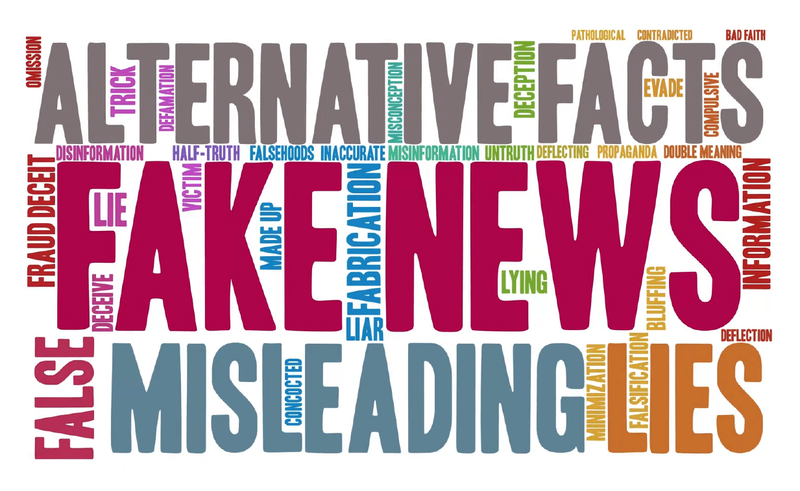 If you believe Segners lie that you pay no city tax, when you can see it on every cash register receipt and all your utility bills, vote for the current city council. I’m running for Mayor. All I ask is for you to vote wisely. Pay back Vote No on Home Rule. Would cares tons of pork at city hall. They spend a million on parks and rec???? That pool is owned by SCHOOL DISTRICT ain’t the city’s Thanks for pointing out MORE waste!!!. 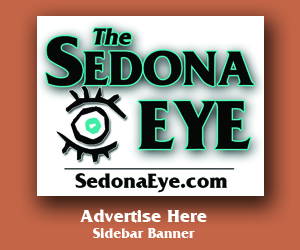 One thing to keep in mind Segner and the Chamber got $2,500,000 from the city of Sedona. They claim it does not cost residents anything, but those funds could for the greatest part be used to mitigate tourist impact. Sedona does not have to give any to the chamber. Segner likes traffic and high resident taxes. Bumper to bumper traffic means he gets to charge high rates for his rooms. Most of the Chamber membership is out of the city, most of the city staff lives out of the city. They all love high taxes, they don’t pay them only receive the benefit. Tony we are a city of 25,000 people + with visitors and you have no idea what IT should cost for police, streets, city court, billing for waste water….. Ask you neighbor he seem to be your go to for all questions about city operations…. Tony Tonsich says:Im not going to bother responding to all of Steve Segners rant. ?Tony you made a statment NO on home rule! 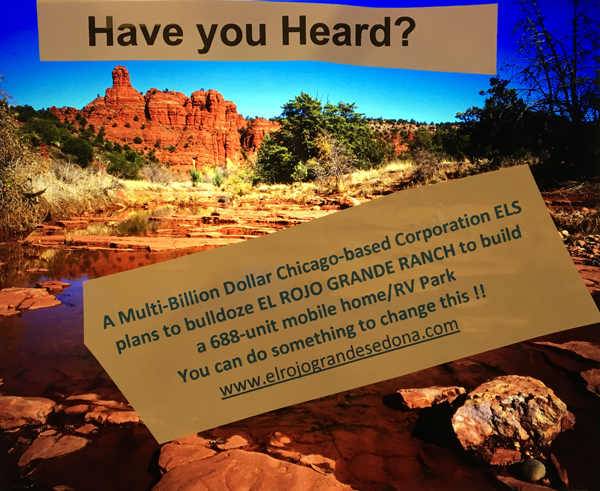 Im asking you How Sedona will be better off with a $13,500,00 budget that we are today… The chamber is not advertising and the visitors will still be coming how do you plan on stopping them? And supplying better services with no budget for most departments…. Wont answer or can’t? @ Segner Your misinformation campaign and fear mongering will not work this time. First of all you are either ignorant of the facts or you just plain lie. I think it’s a little of both. The budget without Home Rule would be approximately 25,000,000. Those programs you listed will not go away. The public pool is not owned by the city, the library is funded by both counties as it is a county library. Park and Rec spends recklessly and competes with in city businesses. Stop funding tourism promotion and the traffic will slow down and the city will not need to infiltrate our neighborhoods with their traffic plan. The council can lower taxes which would help the local economy. No need to feed Molly Spangler free lunches would save a bundle. Sandy will not benefit from tax payers dollars as president of the wine fest. Do away with pet projects that increase the work load on city council. Stop the giveaways to special interests. Vote no on Home Rule and stop out of control govt. spending. Steve Segner is lying again by using the wrong figure, i.e., the Projected State-Imposed Expenditure Limitation amount of $13,500,000. This amount gets multiplied by both the Population Factor and the Inflation Factor to arrive at the Total Expenditure Under State Imposed Limit. It’s $23,162,912 for the current fiscal year (2017-18) and will be higher in FY 2019-2020. 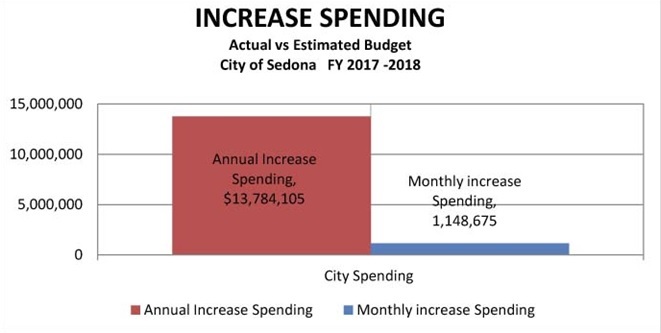 Do you know that the City of Sedona has a budgeted negative cash flow of $9,989,641 for the current fiscal year? 2018 Budgeted Expenditures/Expenses are $47,752,118 while Estimated Revenues are only $37,762,477. Thanks, steve Segner, for FINALLY making what appears to be a valid point. By your own admission, it’s the over abundance of tourists who create the need for incorporated Sedona to punish the actual VOTING residents who bear the brunt of the overabundant greed and self indulgence of your Lodging Council in tandem with the equally obnoxious regional Chamber of Commerce. Shame on City Council(s) and staff (and yourself) for attempting to con the lowly residents into actually believing supporting Home Rule is a good thing. Even if your unproven claims tourists are the primary source of city revenue, your contract with the City of Sedona has been a disaster! Totally counter-productive. Unless and until City Council and Staff rein in their out of control spending, the best way to vote in August is NO ON HOME RULE. Then they will know WE the PEOPLE mean business and will NOT take their abuse for at least another four years. @ James Harrington You are so right. Some cities actually benefit from Home Rule but not this city. Too many personal agendas which prioritize grabbing the tax payers dollars. Unfortunately Sedona was founded on a lie and has continued to live that same lie throughout the years. Speaking of course about the big lie to incorporate. The septic systems in the canyon that had to be run through a sewer system. It was a big scam to vote for incorporation, the citizens were duped. This city is not a real city. It was founded on a lie and has no business calling itself a city. Shameful greed. NO ON HOME RULE! Steve wants you to vote yes so he and his cronies can get TAXPAYERs money for private entities. Look what those monies to chamber have done. They drive tourist to stay outside city limits and stay less. 7% more a night is a heck of a lot. POOR poor steve can’t rent his rooms out? Tlaquepaque area is no place anyone want to stay now. karma Traffic. traffic and can’t get anywhere… This is why he is naysaying airBnbs. airBnB provide less traffic and a better quality of stay! I’m reevaluating any purchase here. I don’t want tourists, I wanted peace and solitude and dark skies.